This is your bill paying agreement with U-1st Community Federal Credit Union. 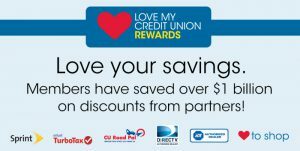 You may use U-1st Community Federal Credit Union, iPay Bill Pay-e Plus, to direct U-1st Community Federal Credit Union to make payments from your designated checking account to the “Payees” you choose in accordance with this agreement. The terms and conditions of this agreement are in addition to the account agreements, disclosures and other documents in effect from time to time governing your account. When you complete you bill paying enrollment form, you will select a User I.D. and a Personal Identification Number (PIN). The Credit Union will make every effort to accommodate your request. Each time you access the service, you will be asked to enter your User I.D. and PIN. Three (3) incorrect login attempts will cause the account to be locked out. If you want to add a new “PAYEE”, select the “Payee” tab located in the service or speak to a service representative. You may add a new fixed payment to a “Payee” by accessing the service and entering the appropriate information. Most other additions, deletions, or changes can be made in writing or by using the service. The Credit Union reserves the right to refuse the designation of a “Payee” for any reason. You may pay a “Payee” within the United States (including U.S. territories and APO’s / AEO’s). The Credit Union is not responsible for payments that cannot be made due to incomplete, incorrect, or outdated information. Single Payments – a single payment will be process on the business day (generally Monday though Friday, except certain holidays) that you designate as the payment’s processing date, provided the payment is submitted prior to the daily cut-off time on that date. The daily cut-off time, which is controlled by the Credit Union is currently 4:00 PM MST. A single payment submitted after the cur-off time on the designated process date will be processed on the next business day. If you designate a non-business date (generally weekends and certain holidays) as the payment’s processing date, the payment will be processed on the first business day following the designated processing date. Note: If your frequency settings for the recurring payment specify the 29th, 30th, or 31st as a particular day of the month for processing and that day does not exist in the month of the calculated processing date, then the last day of that month is used as the calculated processing date. A bill payment can be changed or cancelled any time prior to the cut-off time on the scheduled processing date. Our general policy is to allow you to access your funds deposited into your account on the same business day after we receive the deposit. In some cases, we may delay your ability to access your funds, beyond the first business day. Electronic deposits will be available on the day we receive the deposit. The cut-off time for you to deposits funds into your account is 2:00 PM MST. You are solely responsible for controlling the safekeeping of and access to your Personal Identification Number (PIN). If you want to terminate another person’s authority to use the Bill Pay service, you must notify Credit Union and arrange to change your PIN. The Credit Union is not responsible for a bill payment that is not made if you did not properly follow the instructions for making a bill payment. The Credit Union is not liable for any failure to make a bill payment if you fail to promptly notify the Credit Union after you learn that you have not received credit from a “Payee” for a bill payment. The Credit Union is not responsible for your acts or omissions or those of any other person, including, without limitation, any transmission or communications facility, and no such party shall be deemed to be the Credit Union’s agent. The Credit Union has the right to change this agreement at any time by notice mailed to you at the last address shown for the account on the Credit Union’s records, by posting notice in branches of the Credit Union, or as otherwise permitted by law. The Credit Union has the right to terminate this agreement at any time. You may terminate this agreement by written notice to the Credit Union. The Credit Union is not responsible for any fixed payment made before the Credit Union has a reasonable opportunity to act on your termination notice. You remain obligated for any payments made by the Credit Union on your behalf.